Pets are integral members of families, as much in need of a healthy lifestyle as are the humans who care for them. 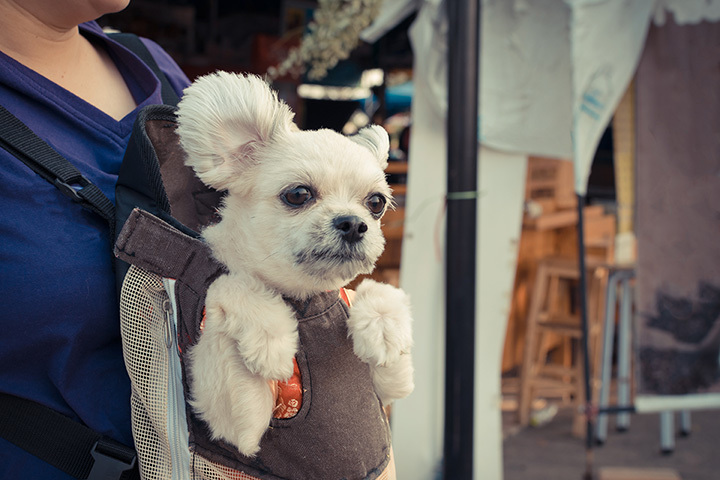 These 10 pet stores are valuable advocates for pets and beneficial partners for owners. All are committed to providing the best care possible. Wow! That one word describes this incredible pet store. It is the definitive empo-rium with an enormous selection of everything from pet apparel, gourmet treats, comfy beds, dog and cat toys, trek and travel gear, harnesses and leashes, healthcare items, grooming supplies and memorial and sympathy goods. They also carry items made by local artisans and bakers from New Mexico. A great outing for you and your pet. With a commitment to being eco-conscious and earth-friendly, this pet store is full of products whose makers have adopted the motto “reduce, reuse and recycle.” Big Shrimpy, Bionic, Planet Dog, World’s Best Cat Litter and Cycle Dog all repre-sent companies committed to improving the environment and well-being for hu-mans and animals with their products found here. You’ll find a wide-ranging variety of pet food plus other goodies for cats, dogs, horses and reptiles. Put your pet on a healthy diet with the help of those at this locally-owned business that’s been serving the local animal community for a decade. You’ll find human-grade quality standards in the food products sold here, with no corn or by-products in any of them. Also on the shelves are dental health products, safe treats, collars, leashes, toys crate and everything you might need … or want … to keep your pet healthy. If you’re looking for a puppy or kitten it’s likely you’ll find the perfect companion here. There’s a good selection of pets including other small mammals … like hedgehogs … and reptiles. You’ll find a large selection of pet food. If you don’t see what you like, they’ll special order it. Lots of treats and specialty items, plus boarding, grooming and dog training opportunities. Keeping your pet healthy is all about good nutrition. You’ll find a commitment to that here with the all-natural products on-hand that include fresh and raw, refrig-erated, dehydrated and freeze-dried food and premixes, plus natural, organic, holistic, dry and canned pet food. Also available is a full line of pet supplements. There’s fun stuff too like toys and treats and vegetarian cookies for dogs. All usual pet supplies available and gifts for both the pet and parent. Educating the owner, not the pet, is the focus here so that the relationship is healthy and happy for both. Providing products that help reduce the risk of aller-gies, skin problems, organ damage and obesity is a pet-owner goal whether you have cats, dogs, fish, rodents, or reptiles. Other services include dog and cat grooming and boarding, a do-it-yourself dog wash and salt and fresh water fish, tanks, pond installation and pond maintenance. This is a gourmet dog bakery and pet boutique extraordinaire. It may be a dog’s life, but it doesn’t have to be a boring one. You’ll find upscale merchandise for both dogs and cats that will have your pet dressed to the nines from collar to clothes. Be careful with the scrumptious treats, with names like BoxerBrownies, Yorkie Yummies, Poodle Puffs, Corgi annoli, Doggie Doo-Nuts, you won’t be able to buy just one type! Are you one of those unconventional pet lovers who thinks beyond dogs and cats? If so, this is the place for you. How about a ferret, rabbit, rat or guinea pig? Maybe some chickens. Or take a walk on the wild side with a bearded dragon, anole, snake, tortoise, leopard or house gecko. You’ll find those and all you need to care for them at this unique specialty pet store. This all natural pet food store wants you to know that there are no kibble trees growing in the wild. That’s why pet owners should choose a raw food diet that in-cludes frozen, freeze-dried, dehydrated or air-dried food. You’ll find quality foods, treats and chews that will change the quality of your pet’s life whether it’s a dog, cat, rabbit, bird or chicken. This award-winning pet store will help you keep your pet healthy.